1) Al-Qaeda believes in the destruction of secular, civil governments and replacing them with a fascist theocracy. 2) Al-Qaeda wishes to reestablish the Islamic Caliphate as the One World Government. 3) Al-Qaeda despises parliamentary democracy as corrupt, money-driven and unrepresentative. It wishes to overthrow parliaments and institute authoritarian religious rule instead. 4) Al-Qaeda establishes cells throughout the world to work for theocracy, and recruits innocent Muslims at mosques. 5) Al-Qaeda demands absolute obedience from its recruits, and no dissent is permitted. This is a hit piece devoid of fact written by an egomaniac who refuses to engage in dialogue with anyone he considers intellectually inferior to him (everyone) even while he insults our intelligence to believe that Baha’i and al qaeda are the same or similar. I have no love for the Baha’is but this kind of trash needs to be called out for what it is. Thanks for your views. The opinion you have expressed is your own and I respect it even though I dont agree with it. I think the article is well written and brings out an aspect of the Bahai Faith which the UHJ is trying very hard to mask. yup it is a bit much, the author does point out a few good things that should be further examined. Its not the religion that has its problems its the humans that want the power and praise that are causing the issues in all religions. After reading the article, I found there were a few holes in the logic, which made this piece seem more like demagoguery rather than an academic piece. This is not the views held by Baha’is, neither is it supported in Baha’i literature. Baha’is believe their government may be called on to govern in a time of crisis when other forms of governance have failed. There is no such process to “get elected democratically” since Baha’is cannot be elected in any secular political system. Secular politics are subject to powerful monetary interests and are divisive by nature. Only just this year, the Washington Post published a study from Princeton and Northwestern universities that the United States was no longer a democracy, but an oligarchy, that the laws passed only reflect the will of special interest groups, not average Americans. 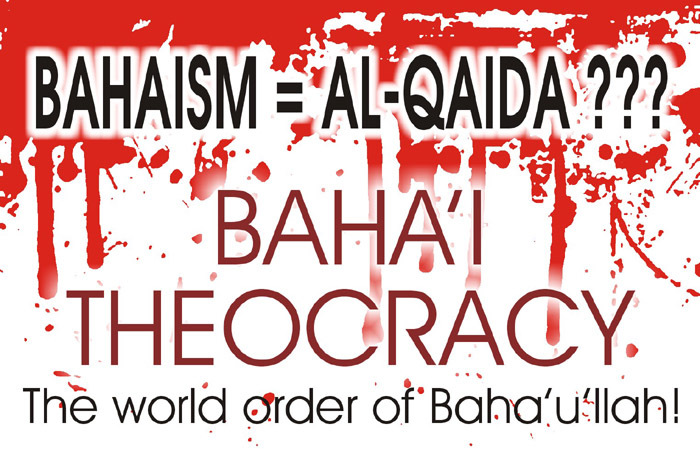 Baha’is are not to be associated with any such system. First off, both Ian Semple and Firuz Kazemzadeh have passed away, so I”m not sure what Mr. Cole is talking about here. There is no Baha’i goal of changing any aspect of the functioning of secular governments. These governments must change themselves based on their own democratic processes without the involvement of Baha’is since none are democratically elected to them, nor do they even associate themselves with any political party thereof. Again, completely false. The expression of dissent is part and parcel of the Baha’i democratic process of consultation. However, when it comes to following through with decision making, the process is to follow the decision of the administration in order to determine whether that choice was the right one or not. Author Patrick Lencioni in his book “The Five Dysfunctions of a Team” talks about how a team should allow all to express their honest thoughts and to be heard, however the team should work in unity to follow through the course of action. If one person in that team were to actively campaign against a decision or attempt to sabotage it, the group cannot complete it’s process of gaining intelligence because it would not know if that decision would have worked or not. Dissent is critical in any democracy, but also is being able to work in unity in order to increase our group knowledge and experience. I suggest Mr. Cole reread Baha’i scripture in order to remedy his innacuracies. You are right that perhaps Bahai scriptures do not carry statements to the effect mentioned in the article. But their actions are perfectly like Al Qaeda or like any other mafia. This is easily established through a study of their literature and their history. They dont. They consider Bahaullah as God. Bahaullah has NEVER claimed to be god. Stop making up statements about a religion that you clearly have no knowledge of its teachings nor its history. Read the Aqdas in Arabic. You will know what I am talking about. Also Bahais by claiming that Messengers and Bahaullah were Manifestations of God have corrupted the belief of Tawheed brought by Islam, Chiristianity and other Divine religions.